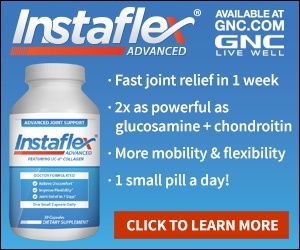 Sep 24, 2016 We make Instaflex available for purchase in a variety of manners including major retail outlets like GNC and Walgreens, single and multiple bottle purchases on our website, and also through a trial program. Customers who purchase through our trial program have 18-days to sample our product. Customers who like the product don’t have to do anything and at the end of the 18-day trial they will be placed in our auto-replenishment program. Customers who do not like the product or prefer not to be on the auto-replenishment program may cancel any time during the 18-day trial or after without future commitments. We try to make the product available for purchase in the manner of the customer’s choosing. Whoever you are, be careful and don't give them your credit card dates. I had to cancel my credit card because they started to take money out of it, without my consent! THIS IS A SCAM !!! Now they want me to write 100 words to be able to submit this review, ok: SCAM, SCAM, SCAM, SCAM, SCAM, SCAM, SCAM, SCAM, SCAM, SCAM, SCAM, SCAM, SCAM, SCAM, SCAM, SCAM, SCAM, SCAM, SCAM, SCAM, SCAM, SCAM, SCAM, SCAM, SCAM, SCAM, SCAM, SCAM, SCAM, SCAM, SCAM, SCAM, SCAM, SCAM, SCAM, SCAM, SCAM, SCAM, SCAM, SCAM, SCAM, SCAM, SCAM, SCAM, SCAM, SCAM, SCAM, SCAM, SCAM, SCAM, SCAM, SCAM, SCAM, SCAM, SCAM, SCAM, SCAM, SCAM, SCAM, SCAM, SCAM, SCAM, SCAM, SCAM, SCAM, SCAM, SCAM, SCAM, SCAM, SCAM, SCAM, SCAM, SCAM, SCAM, SCAM, SCAM, SCAM, SCAM, SCAM, SCAM, SCAM, SCAM, SCAM, SCAM, SCAM, SCAM, SCAM, SCAM, SCAM, SCAM, SCAM, SCAM, SCAM, SCAM, SCAM, SCAM, SCAM, SCAM, SCAM, SCAM, SCAM, SCAM, SCAM, SCAM, SCAM, SCAM, SCAM, SCAM, SCAM, SCAM, SCAM, SCAM, SCAM, SCAM, SCAM, SCAM, SCAM, SCAM, SCAM, SCAM, SCAM, SCAM, SCAM, SCAM, SCAM, SCAM, SCAM, SCAM, SCAM, SCAM, SCAM, SCAM, SCAM, SCAM, SCAM, SCAM, SCAM, SCAM, SCAM, SCAM, SCAM, SCAM, SCAM, SCAM, SCAM, SCAM, SCAM, SCAM, SCAM, SCAM, SCAM, SCAM, SCAM, SCAM, SCAM, SCAM, SCAM, SCAM, SCAM, SCAM. Review #919856 is a subjective opinion of User919856.